The fragrance of victory against India and Bangladesh is in the air. Although we lost the Asia Cup 2014, still, every Pakistani is flaunting the green laurels with pride, yelling out the winning spirit to neighbors. 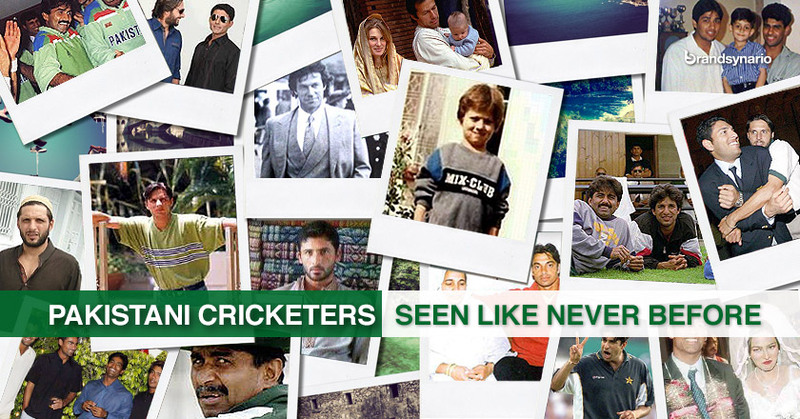 Without a doubt, the accolades are credited to our champions of the game that thrives in every Pakistani’s blood. Yes, the Pakistani cricket team has surely spiced up the wait for ICC Twenty 20 World Cup 2014. In this hyped up waves, we thought of giving our readers a snack of thought that would surely make the wait even more spicy and interesting. We have gathered some of the facts that would definitely fuzz up your love for our sporty heroes. The champion bowler from Swabi, used to play with tape ball until his cousin introduced him to the Hard Ball set up but now he has started a cricket academy, known as “Junaid Khan Cricket Academy” in Swabi. Mohammad Yousuf: The Pride of Performance winner of 2012, couldn’t afford a bat, as his dad worked at a railway station, so he used to whack his brother’s taped tennis ball offerings with wooden planks of various dimensions on surfaces. Shahid Afridi: The king of boundaries>, considers himself a better bowler than batsman! Umar Gul: Umar Gul’s house was once raided on the charge of hiding a wanted militant! However, later it was realized that was a false alarm, and the commandos had to apologize to Meeraj, Gul’s brother. Misbah Ul Haq:The mastermind captain of Pakistan cricket team, gets his management expertise from his Professional Degree of MBA from University of Management and Technology, Lahore, Punjab. Saeed Ajmal: The pioneer of ‘Doosra’, burnt his entire cricketing kit in 1997 after getting depressed due to a wrist injury that he incurred while flying a kite. Fawad Alam: The blooming Pakistani batsman, has his father (Tariq Alam), and father in law ( Mansoor Akhtar) both belonging to his profession i.e. cricket. Moin Khan: The legendary wicket keeper and current coach of Pakistan cricket team, unofficially contracted to coach two teams of the now defunct Indian Cricket league, before being appointed as the Coach of Pakistani cricket team.